Chabad Young Professionals regularly provides volunteer opportunities in our community. We assist the elderly, organize food drives, participate in disaster relief efforts, and more. 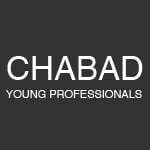 To enquire about getting involved, email us at: info@chabadyp.com.